When determining a custody arrangement for your children, taxes may not typically be in the forefront of your mind. Dependent children provide parents with considerable tax savings so it is important to understand the tax implications of custody choices during divorce negotiations. The ability to claim a child as a dependent will affect your ability to claim certain tax credits or qualify for certain tax deductions. Joint legal custody means that both parents share in the right to make decisions on behalf of their children. Parents with joint legal custody often share joint physical custody as well, but not necessarily. Physical custody is the primary factor in determining which parent will be able to claim a child as a dependent for tax purposes; however, it is not the only factor. The Internal Revenue Code provides exemptions for spouses and dependents. This means that you may claim other individuals on your taxes; thereby, exempting a greater amount of your income from federal taxes. A child may not be claimed as a dependent by more than one person. In general, the custodial parent will claim the child as a dependent for tax purposes. In the IRS's eyes, the custodial parent is the one with whom the child lived for the most nights during the calendar year. If a child spends an equal number of nights at each parent’s house, the IRS deems the custodial parent the one with the higher adjusted gross income. Although tax rules have this default tax treatment for children of divorced, separated or unmarried taxpayers, this tax treatment is subject to negotiation. For example, during a divorce, a couple could stipulate who gets to claim the children as a dependent in exchange for something else, such as more cash or other property. That means the parent the IRS would consider to be the custodial parent would release his right to claim a child as a dependent. He would do so through IRS Form 8332, Release/Revocation of Release of Claim to Exemption for Child by Custodial Parent. The same form is used to revoke any prior forms that released a claim. After a divorce, the IRS no longer allows parents to file joint married tax returns. 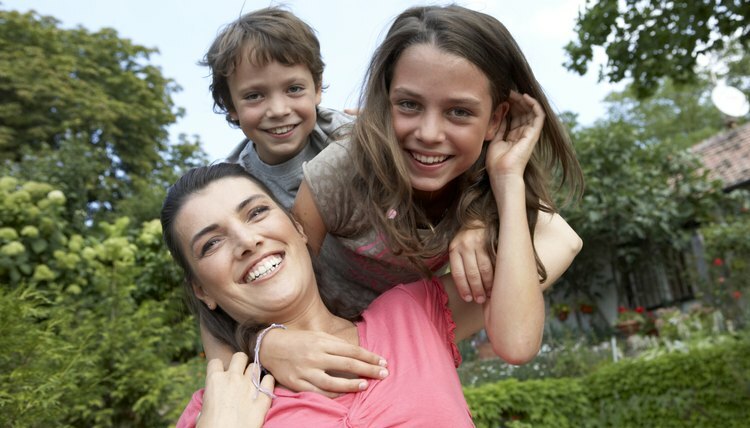 Therefore, only one parent can claim the dependent exemption for each of their children. You can’t scissor an exemption down the middle, with each parent taking half on two separate returns. If you’re both going to enjoy the tax benefit of being parents, you’ll have to get creative.